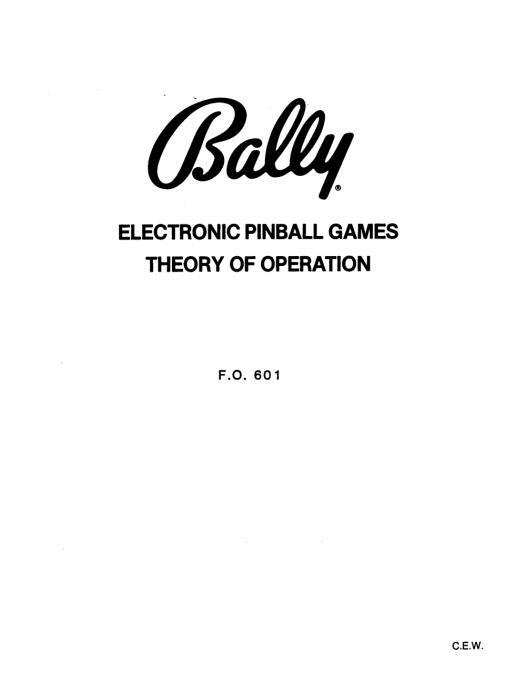 "Bally Electronic Pinball Theory of Operation" has been added to your cart. 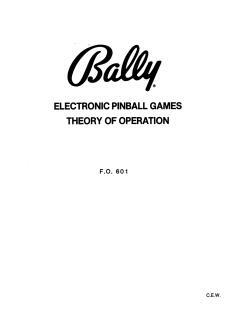 This 20 page manual, BALLY #FO-601-02, is intended for the experienced technician who wants an in-depth explanation of the BALLY 6800 based MPU system. It is the same material presented at BALLY service schools and complements the FO-560-3. This booklet explains exactly what goes on during all those MPU green LED flashes and how the MPU communicates with the rest of the game hardware. Get this booklet to help troubleshoot those “dog” problems!